This stunning venue is full of character, history and charm. Searcys Knightsbridge was acquired in 1920. 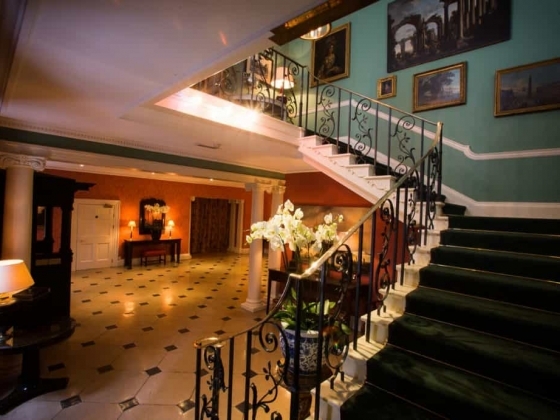 By the 1960s the house had become a well-establishes and sought after venue for elaborate weddings and a glittering stream of dances, banquets suppers and cocktail parties. 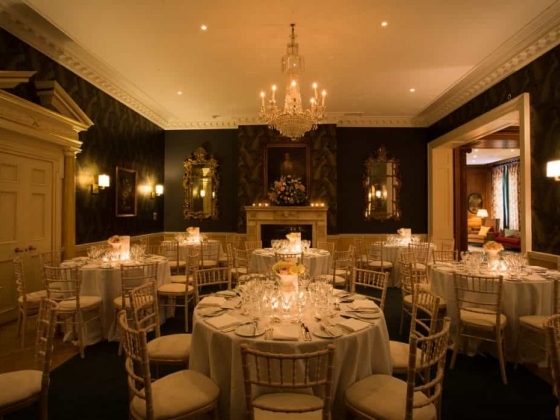 Original features such as the marble fireplaces, stone floor and antique wood panelled Library room were reclaimed from historic locations to create a luxuriously traditional setting for events. Searcys Knightsbridge has the ability to cater for sumptuous dinners, elegant cocktail parties, memorable wedding receptions and corporate events providing a range of seasonal and innovative menus to suit every style of event. 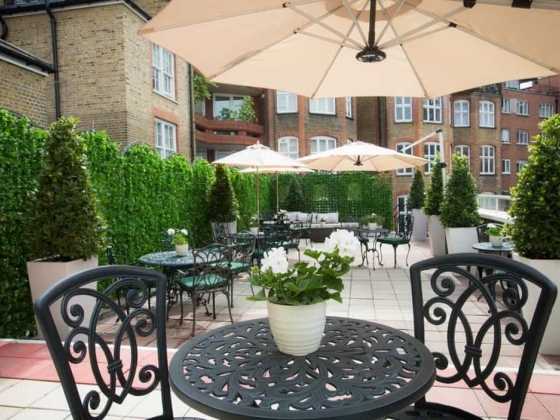 In the 1970s, the Roof Garden Rooms opened as boutique guest rooms in a private house – a bed & breakfast service which continues to impress today. The relaxed atmosphere with friendly, professional staff that provides the highest quality service will be available to assist you with every step of planning your event. Venue Capacity: Stone Hall which is licensed to host civil ceremonies for up to 80 guests. Dining Room for your sumptuous wedding breakfast, which can accommodate up to a maximum of 100 guests for sit-down dining and 160 guests for a standing reception.